So far, the majority of microplastics research has focused on the marine environment. 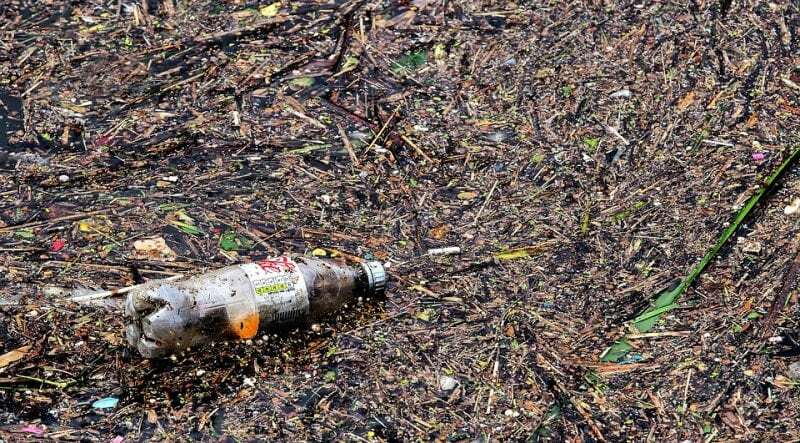 Whilst the ocean is likely the ultimate destination for small plastic particles, the role of terrestrial environments should not be overlooked. Soils in agricultural and urban areas have the potential to be highly contaminated with microplastic (particles between 0.1 µm and 5 mm) and possibly also nanoplastic (particles measured in the nanometer range). These systems may represent major environmental reservoirs of micro(nano)plastic, with several potential exposure pathways for organisms and human populations. The range of potential sources of microplastics to agricultural systems is large, varied, and likely complex. The reuse of sewage sludge as a fertilizer for farmland has been highlighted as a pathway through which very large amounts of microplastic may be released into the environment. Wastewater treatment plants are effective at trapping the majority of microplastics that enter. These may include microbeads from personal care products or fibers from the washing of synthetic textiles, for example. However, many of these particles are concentrated into solid sludge, which is commonly used as fertilizer on agricultural land. Estimates suggest that 63,000-430,000 and 44,000-300,000 tons of microplastic may be added to farmlands each year in Europe and North America, respectively. Several agricultural practices may also release plastics into our soils, including the use of plastic mulching. Additional inputs are likely to include road and urban runoff, atmospheric deposition, irrigation from plastic-contaminated water, flooding, and the breakdown of plastic litter that is exposed to the elements. Presently, we know very little about environmental nanoplastic contamination. Based on the breakdown of plastic in the environment, it is possible that the quantity of small plastic particles increases with decreasing size. The release of nanoplastic — likely associated with similar sources to that for microplastic — has the potential to be high. Very little is known about the fate of plastic particles once they enter the soil. It is likely that soil systems represent a store of plastic in some locations. For example, areas to prone to flooding will be capped with sediments after each event, potentially burying some plastic particles. Certain particle types may also combine with the soil into aggregate particles that may accumulate in the soil profile. However, micro(nano)plastics added to the soil may be mobilized by runoff or wind erosion and transferred to other environments. This has the effect of propagating contamination, for example, from sewage sludge application, across a wider spatial scale and possibly acting as a source of micro(nano)plastic to rivers and oceans. Finally, plastic particles may also leach into groundwater aquifers. This has not yet been documented and there have been no studies thus far to demonstrate the presence or absence of plastic in groundwater supply. It is possible that this leaching will only occur for the smallest plastic particles — nanoplastics — and will depend on important particle characteristics such as surface charge. Soil surfaces represent a degradative environment for micro(nano)plastic based on the exposure to UV radiation from sunlight, as well as fluctuating temperatures and other environmental conditions. Agricultural practices such as tilling likely also increase the mechanical stress posed upon plastic particles. This has the effect of fragmenting plastic particles into small sizes. However, once buried in the soil profile, the potential for degradation decreases as the particles are shielded from the elements. Here, microbial degradation is the predominant mechanism, although we don’t yet know the timescale upon which plastic is effectively broken down under these conditions. The main risks associated with micro(nano)plastic contamination are linked to possible interactions with organisms. Researchers have begun to test the toxicity of plastic particles on soil biota such as earthworms. Some signs of damage have been identified following ingestion of small plastic particles, but soil biota also plays an important role in distributing microplastics across and within soil systems. Direct ingestion of microplastics in soil may occur for grazing animals. A large portion of dry mass that animals, such as sheep and cows, consume is made up of soil. However, it is unlikely that the amount and size of plastic they take in will have a direct, negative influence on their health. It is also unlikely that plants will take up microplastics from the soil. Although, plants have been shown to absorb other nanoparticles, such as engineered nanomaterials, so this may also occur for nanoplastics. Without knowing the scale or nature of nanoplastic contamination of the environment, we can’t say what risk this poses. The uncertainties associated with nanoplastic is the next challenge for scientists. We are still establishing technologies to effectively monitor nanoplastic in the environment. Based on their size, these particles could theoretically pass biological membranes, but we are still lacking robust data on the real risks that they pose. Even in the case that no adverse effects are caused by these small plastic particles, the ubiquitous and pervasive nature of anthropogenic contamination across the globe is an important environmental issue that should be dealt with. These findings are described in the article entitled Fate and occurrence of micro(nano)plastics in soils: Knowledge gaps and possible risks, recently published in the journal Current Opinion in Environmental Science & Health. This work was conducted by Rachel R. Hurley and Luca Nizzetto from the Norwegian Institute of Water Research. Rachel Hurley is a post-doctoral researcher at the Norwegian Institute for Water Research in Oslo. She completed her PhD in Physical Geography at The University of Manchester in 2017 investigating microplastics and heavy metals in river sediments. Her research includes looking for plastics in many different contexts including water, soils, sediments, and sewage sludge. She is also developing new methods for detecting microplastics in complex, environmental samples and quantifying how macroplastic becomes micro in the environment.